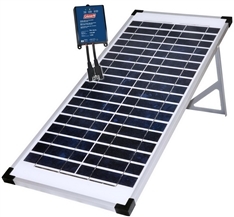 Coleman 40 Watt Crystalline Solar Panel Kit with Stand A high performing solar panel kit, the crystalline solar cells increase light absorption and improve efficiency. Provides power for multiple appliances. Includes fold-out stand to ensure easy installation! 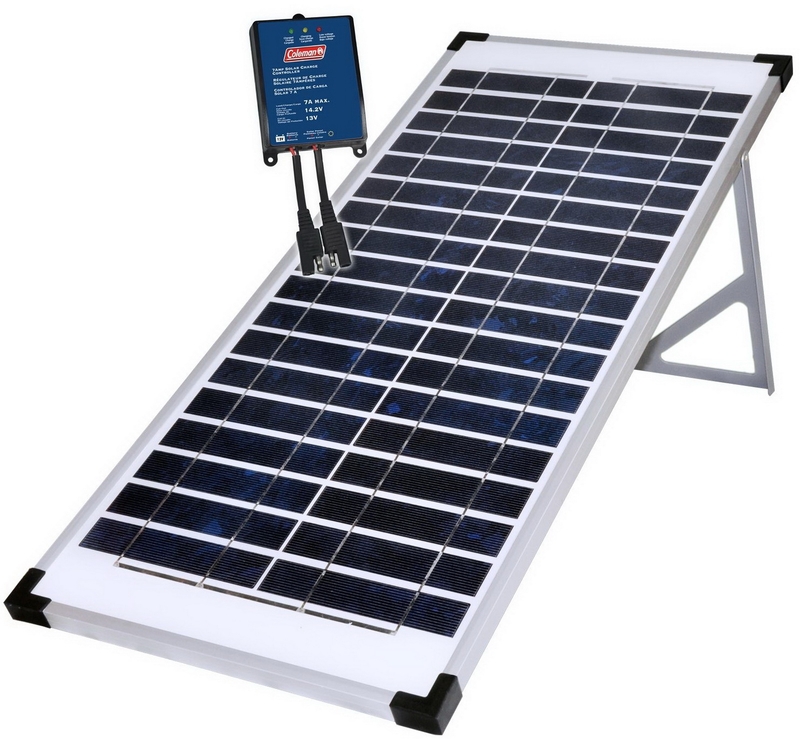 Features high-efficiency crystalline solar cells. 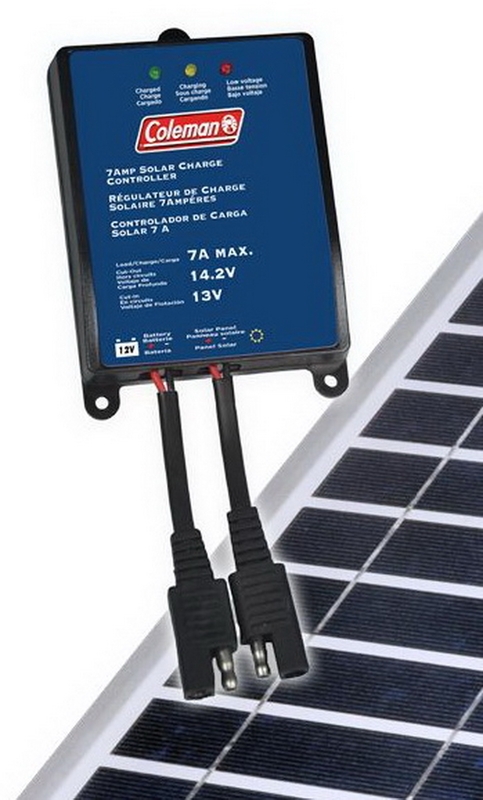 Includes 7 amp charge controller to protect the battery from overcharging. Ideal for charging 12V batteries. Perfect for sheds, cabins, or cottages where little electricity is available. Panel features metal fold-out stand for easy installation.